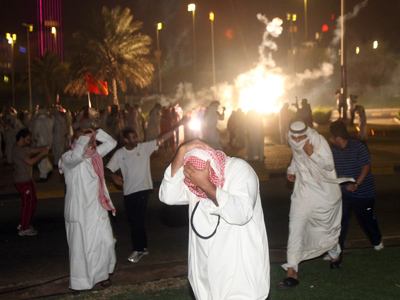 Tear gas and stun grenades have come into force in Kuwait when riot police tried to disperse a crowd of more than 1,000 anti-government protesters, disobeying the royal writ that practically bans political rallies in the oil rich state. 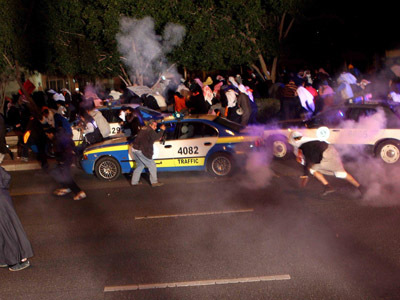 ­Several arrests have been made according to local witnesses, while reports in twitter put the figure at over 20. The organizers used social media to gather the protesters. The authorities have been cracking down on internet communication, sending one man to jail for two year for posting alleged insults about the Emir on his Twitter feed. 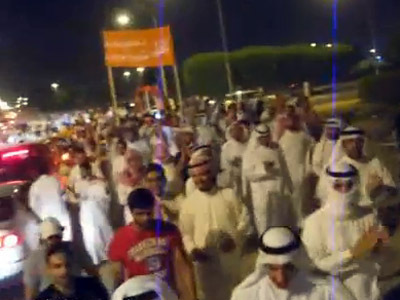 Following December’s parliamentary elections, in an effort to quell growing unrest, lawmakers have ruled that rallies in Kuwait must receive written permission from the authorities. This was not done by the organizers of Sunday’s rally. The demonstrators are calling for the new parliament to be dissolved as it is dominated by pro-regime lawmakers. 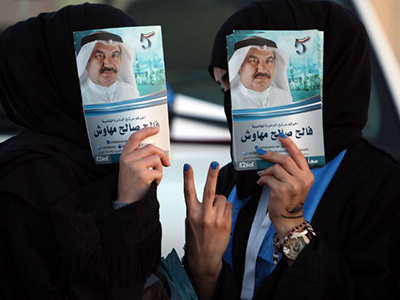 Opposition groups have accused Kuwait's Emir of abusing his powers by amending voting laws to bolster support for government candidates. 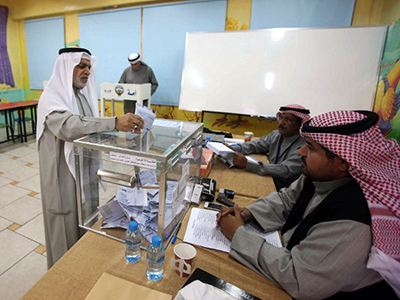 One of the oldest Gulf monarchies, Kuwait is thought to have one of the most open political systems among Gulf Arab states. Parliament has legislative powers and the right to question ministers. But the Emir, head of the Al-Sabah family that has ruled Kuwait for 250 years, still appoints the prime minister, who in turn chooses the cabinet.